An accessible, quiescent beach with parking right next to the park and beach. Very popular with local residents and those after a quieter, safer family beach, together with the added safety of the Surf Life Saving Club. This is a usually safe beach with little hazard posed by the low waves. 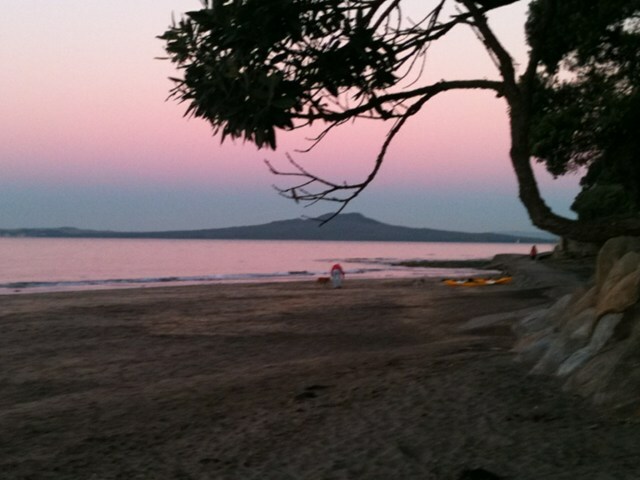 However at high tide the water is relatively deep right off the beach, while at low tide swimmers must move further into the bay to reach deeper water. Usually calm, except during strong easterly winds, which generate a 1 to 2 metre windy beach break waves. The northern rock platform is used as a public walkway to the northern end of the bay, and also provides a good, relatively safe, location for rock fishing. The beach is our favourite playground, but it can also be a dangerous place. Learn about the hazards at Mairangi Bay and be prepared so you and your family can enjoy the sun, sea and sand safely this summer. 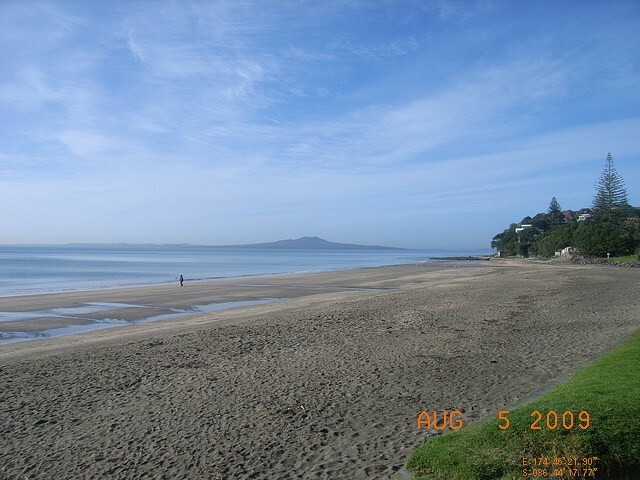 Mairangi Bay is a patrolled beach. Mairangi Bay is patrolled on Saturdays, Sundays and Public Holidays from 12:00pm to 5:00pm between 20 October 2018 and 25 November 2018. These hours are extended to 11:00am to 7:00pm between 1 December 2018 and 24 February 2019. Hours return to 12:00pm to 5:00pm from 2 March 2019 to 22 April 2019. A Regional Lifeguard Service is provided Monday to Friday from 31 December 2018 to 11 January 2019 between 11:00am to 6:00pm. 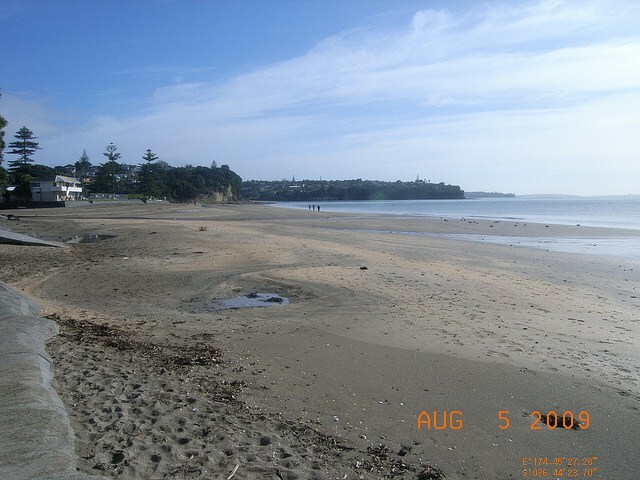 Mairangi Bay is a usually quiescent beach located at the mouth of a small valley occupied by residential housing. The beach is 350 m long, faces east north east and is bordered by rocky bluffs and rock platforms at each end. A creek drains across the southern end of the beach. Sidmouth Road leads to the beach and runs along the centre 200 metres of the beach. Between the road and the beach is a small car park and a 20 metre wide grassy park containing a small play area and picnic tables. 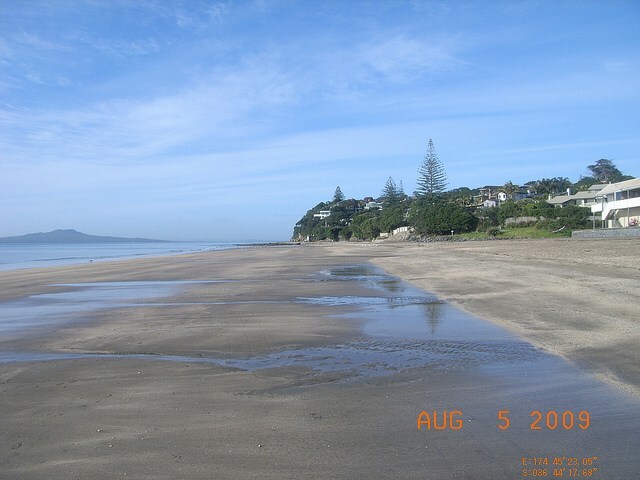 The Mairangi Bay Surf Life Saving Club and public amenities are located at the southern end of the park, while there is a small boat ramp at the northern end, and the entire park is fronted by a 2 metre high seawall. The beach usually receives low waves averaging about 0.3 metre. At high tide these lap against the moderately sloping 15 to 25 metre wide high tide beach. As the tide falls the waves begin to break across gently sloping sand flats which may reach 50 metres in width at low tide.